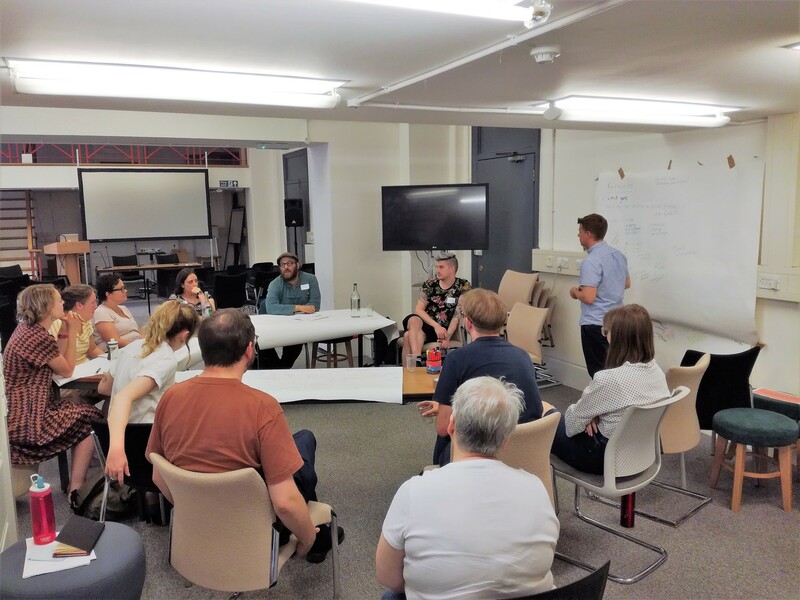 In July 2018, Kyle Lee-Crossett, PhD student on the Diversity theme, hosted a knowledge-exchange workshop on contemporary collecting at the UCL Institute of Advanced Studies. 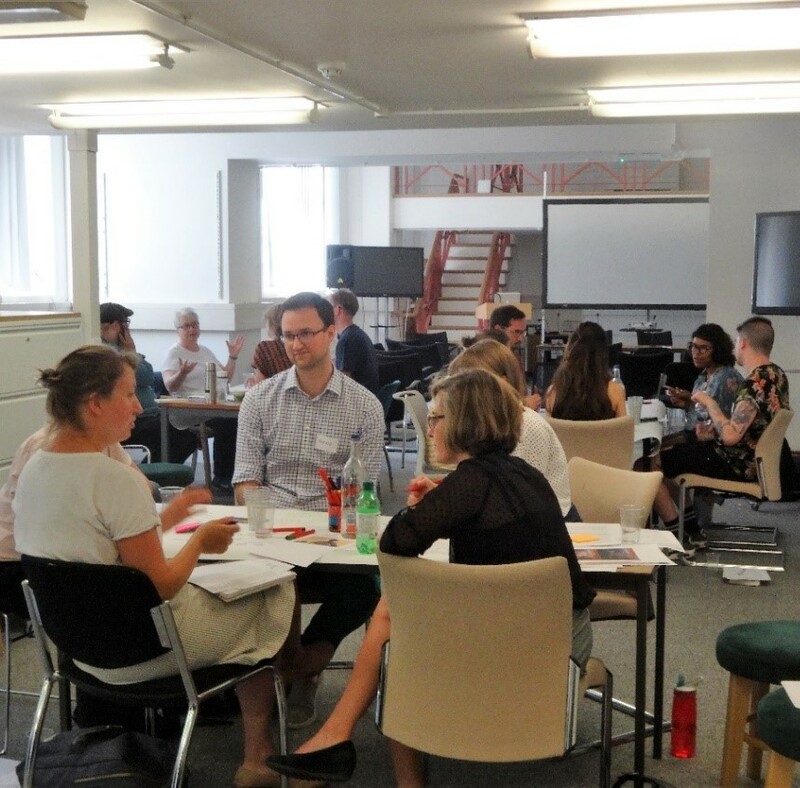 ‘Collecting Change/Changing Collections’ brought together archive and museum practitioners from a wide range of backgrounds to reflect upon the goals, challenges, and futures for representing diverse publics and stories in collections. 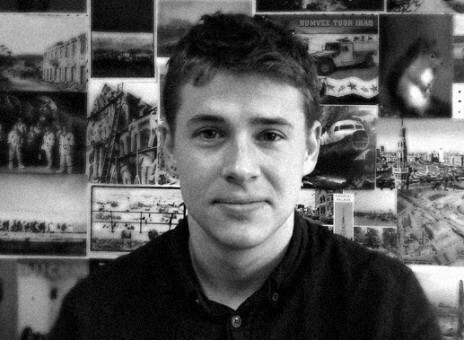 Kyle’s research explores how contemporary biodiversity and social diversity are defined and collected to shape heritage futures in archives and museums in London. His research asks: what does collecting diversity mean in practice for social history and natural science collections? And: does collecting materials from underrepresented groups have an impact on how collections are managed or accessed? At the workshop, one curator related the story of a white male colleague who, after being told he needed to collect diversity, chose to only collect ‘left-handed collections’ because he thought collecting diversity was nonsense. [i] This response shows how easily efforts for collections to include diversity (i.e. historically underrepresented groups) can be sidestepped in favour of representing intentionally non-challenging or empty differences. Because of this, it’s more useful to think of collecting diversity as not just increasing representation, but also making ways of working in collections more just and inclusive. The workshop had three central questions derived from Kyle’s research. Below is a short example from each session of discussion. The full report on the event can be downloaded HERE. Mind-maps produced by discussants and facilitators in response to each question contributed to the content of the report. 1. How do we know what is significant to collect now and keep for the future? To start off discussion, workshop participants each brought an item or an image of something that had the potential to be significant in a contemporary collection. 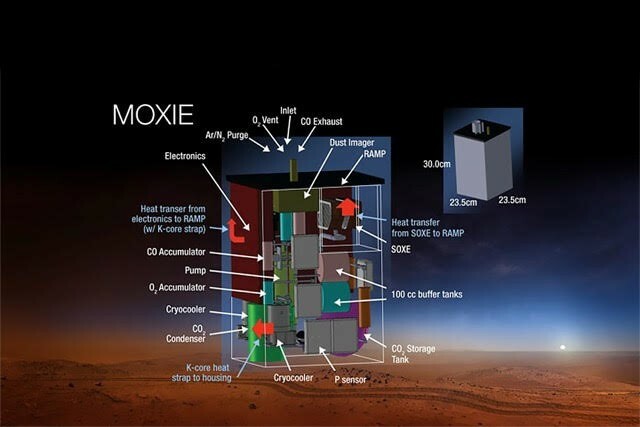 Sarah Dry, trustee of the Science Museum Group, brought in images of NASA’s Mars 2020 Rover and MOXIE — one of its’ accompanying instruments that will attempt produce oxygen from Mars’ atmosphere, and perhaps one day render the planet colonisable. Although MOXIE could easily be presented as an unequivocally positive and ‘cool’ technological artefact, it also raises questions about the broader social and political context in which it might be understood. What if the technology fails? Do we want to collect it then? Or what if it succeeds and we embark on an uncontrolled alteration of the Martian atmosphere? 2. 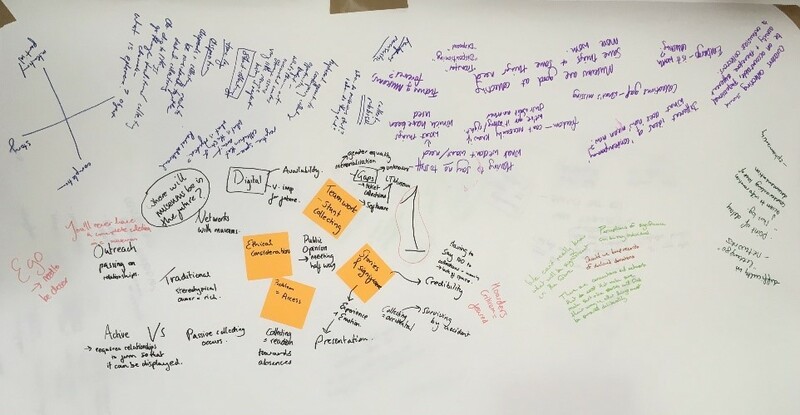 What kinds of futures do we want for our collections and how do we communicate these visions? Participants wanted to their collections to be instruments of change and activism. Archives and collections can be used to ask questions of our social reality and model research and learning processes. They can encourage and support explorations of collections, past collectors, and being collectors ourselves. Building a strong basis of research and enquiry can be used to inspire changes in attitude and encourage informed democracy. Participants were also dealing with the reality of precarity and most often experienced the future as a short-term project plan. The impact of government austerity policies on funding have made it hard to plan the future. Future planning in the archives and museum sector is also dominated by project planning and the timescales of funding bodies. Does structuring collections work primarily around short-term projects help us create better futures? Participants play The Thing From the Future card game to explore alternative time frames and trajectories for heritage material. Does structuring collections work primarily around short-term projects help us create better futures? 3. 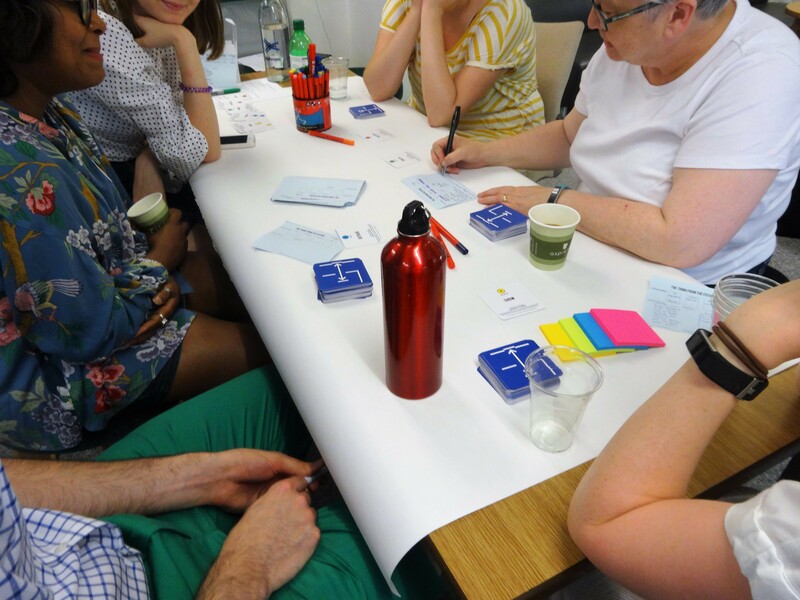 How does change happen in our collections and wider organisations? Change requires both bottom-up and top-down work: Participants observed a willingness to take risk at lower levels in an organisation, but risk aversion at high levels. People at lower levels are celebrated when they take successful risks, but forced to bear the costs when they don’t work out. Consequently, practitioners emphasised the importance of embracing failure in practice as well as in theory. One provocation brought up during the final discussion was that digital heritage collections are actually much worse at archiving and using data than private companies or proprietary databases and image galleries. What does this mean for organisations that aspire to widen public access to resources and information online? Although the workshop had a presumption toward continued collecting, it was also emphasized that it’s okay not to collect. In a similar vein, participants also questioned that it was necessary for collections to inform the future, or to be collected with the future in mind. Not every collection needs a function, and in truth many collections are, at least partially, a product of chance. Over-committing to having collections that are ‘useful’ for the future potentially means over-rationalising them and restricting potential for future creative encounters. 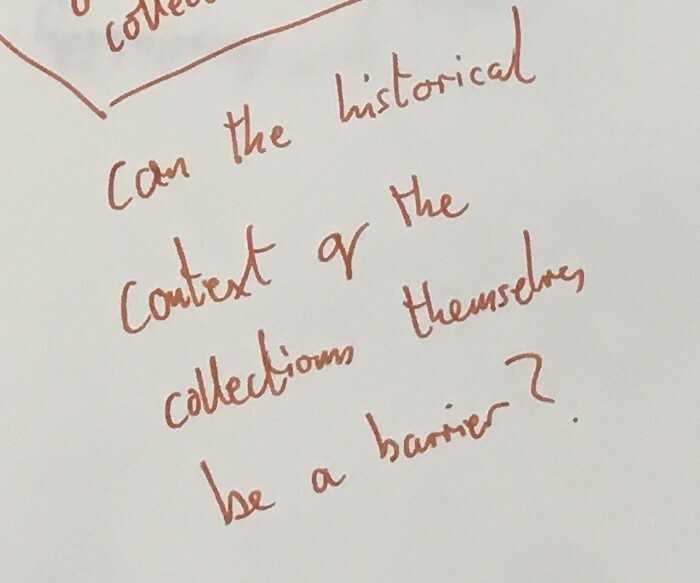 [i] While ‘left-handed collections’ are not necessarily an illegitimate way to approach aspects of diversity (for example, as part of a historical look at accessibility in schools) the curator in question did not approach it in this spirit.